The point at which any true appreciation of the short story begins is the clear perception that it is a distinct form of art; and the reason why the older novelists so rarely succeeded in the short story is that they did not apprehend this. If we bear in mind the three principles, that the short story must be complete in itself, that it is short because it cannot be long, and that it consists of a single incident, we can readily apply a critical test, which, while not infallible, nevertheless affords a valuable means of discrimination. The point at which any true appreciation of the short story begins is the clear perception that it is a distinct form of art; and the reason why the older novelists so rarely succeeded in the short story is that they did not apprehend this. If we bear in mind the three principles, that the short story must be complete in itself, that it is short because it cannot be long, and that it consists of a single incident, we can readily apply a critical test, which, while not infallible, nevertheless affords a valuable means of discrimination. Let us take the test of completeness and apply it to Dickens's exquisite story of "Boots at the Holly Tree Inn." The story as Dickens writes it straggles over a great variety of themes. We have an embittered lover, a detailed description of a mail-coach journey, of a snow-storm, of an inn, of his own ennui, of his own curious imaginings, elaborated in thousands of words, before he reaches the real story which the Boots at the Holly Tree has to tell. No fewer than thirty-seven pages consist of extraneous matter, while the story itself is told in thirteen pages. It is not until the Boots begins to speak that the story begins; up to this point we are engaged in the tedious reflections of Charles Dickens, mixed with a great amount of totally irrelevant detail. Dickens himself must have been conscious of these defects, for when he prepared the story for a public reading he ruthlessly cut away all about the mail-coach, the snow-storm, the struggling horses, and so forth, and came at once to the incident which the Boots repeats with so much humor and pathos. Why, then, did he not write the story in this form? Simply because he had not grasped the principle that a short story must be complete in itself. The moment he brought his work to the test of oral and dramatic delivery this principle was discovered clearly enough. And it may be added that there is no better test of any story than to read it aloud. When a story is read aloud, the interest of the hearer is in exact proportion to the direct appeal of the story; and the inattention of the hearer is the sure indication of the lack of direct appeal. The hearer of a spoken story resents everything in the nature of excrescence; he finds mere description tedious; he is intent only on the living issue. Dickens discovered this when he submitted his work to an oral test; the true short-story writer will not need such a test to teach him the law of dramatic completeness. In contrast let us take such a story as Kipling's "Matter of Fact," not because it is his best story, but because here also there is a great amount of description. But with Kipling the description is vital to the story, whereas in Dickens it is not. The story begins abruptly with a rapid sketch of three journalists on a tramp steamer making for Southampton. The dramatic note is instantly struck in the cry of the sweating steersman that something is wrong with the sea, that it is bewitched. To describe this sea, with its oily surface, its sudden inexplicable upheaval and run of gray water, is legitimate aid, because it is all necessary to the fearful apparition of the wounded sea-serpent, flung up from the ice-cold depths of ocean by the explosion of a submarine volcano. And although the story ends in London, yet its unity is never violated; and, more wonderful still, although it ends in ridicule and humor, yet its impression of horror is not destroyed. In this case Kipling's powers of description do not hinder his story; they are not felt to be excrescence; and for this reason; that they are vitally necessary to the theme. We do not need the snow-storm and the mail-coach to explain the eloping children in Dickens's story; we do need the horror of the bewitched sea to explain the state of mind in the three journalists. We can cut away three-fourths of Dickens's story, as he himself did when he made it a public reading, without essential loss, and indeed with positive gain; we cannot spare a single sentence of Kipling's without deterioration of the total effect. The one does not obey the law of essential completeness and the other does. Let us apply the second test, that the short story is short because it cannot be long. A good example of the reverse of this principle may be found in Hardy's great tale of "The Withered Arm." It is a most dramatic story and may rank among the great achievements of Hardy's genius. It concerns a group of persons, each drawn with vital truth; a farmer who brings home a young and sweet woman as his bride; a wronged woman, who has a son by the farmer, and a wise man or wizard. The bride's arm withers and she loses the love of her husband. The illegitimate son commits arson and is condemned to death. The young wife goes to the gaol that she may put her withered arm on the neck of a man newly hanged, having been told by the wizard that this is an ancient form of cure. The hanged man is her husband's son, and she meets her husband as he stands overwhelmed with grief and contrition beside his son's corpse. Here is a story capable of great elaboration. Considered only as a plot, it is as full of dramatic possibilities as "Tess of the D'Urbervilles." Obviously it might have been treated with the same fulness; all that is needed is an elaboration of incidents, such as Hardy excels in; as, for example, the previous history of the wronged woman, the events leading up to the marriage of the farmer, the character of the outcast son and the general background of country life and manners. So treated, it might have taken rank with the greatest of Hardy's novels; Hardy chose to compress it within the limits of forty pages. But this compression is purely arbitrary. Its result is an abbreviated novel, but not a short story. The single incident of the woman visiting the gaol to find a cure for her disease in a horrible experiment, sanctioned by superstition, might have composed a legitimate short story; as it is the result is a miniature novel, which has all the characteristics of the novel except its length and none of the features of a short story. If we contrast with this Quiller-Couch's story of "The Drawn Blind," we at once see the difference in method. Here also we have the story of a son who is hanged and the pathetic invulnerable faith of the mother in his innocence. These two persons, in their mutual relations, compose the entire story. The mother is so certain of the acquittal of her son that she has prepared a feast for him on his release; when the fatal verdict is announced, she extinguishes the lights and drops the blind. That is all. There is obviously not enough material here for a novel; but there is just enough for a successful short story. Spread out into a novel the interest could not be sustained; and the incident itself is so dramatic that any additional incidents would weaken the effect. But as a short story it is perfect. It could be told in no other way. And this we may take as a sufficing test. Of the short story proper, it is always true that it could be nothing else but what it is. If it could just as well have been elaborated into a novel, it is not a short story, but only a novel in miniature. And this gives sanction to the third principle of the short story—viz., that it consists not of several related incidents, but of one incident. In a sense this is untrue to nature, because in actual life every incident is related to some other incident, of which it is either the cause or the effect. But one can pluck a rose without investigating the secrets of its growth, and it is not necessary to trace that growth through all the series of its vicissitudes in order to be aware of its charm, its color or its fragrance. If art violates nature in giving us the unrelated incident, it is for the sound reason that art leaves much to the imagination. We may know too much as well as too little for a just appreciation of art. The great artist is he who knows how to interest without fatiguing us; who gives us just enough knowledge of his theme to invest with overwhelming significance what he chooses to reveal; who makes one's imagination the confederate with his own by leaving us to supply much which he only suggests. Thus Dickens fails in the story already described, because he tells us more than we want to know; and many other writers fail by attempting to blend several incidents instead of centralizing the attention on one. Hardy fails for the same reason in "The Withered Arm," considered as a short story; he gives us a series of incidents legitimate enough in a novel, but confusing in a short story. 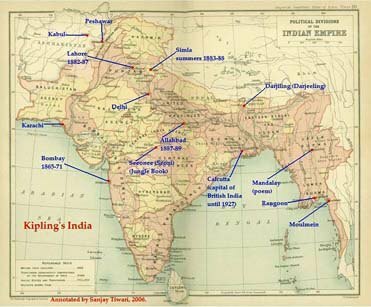 But Kipling succeeds in the best of his stories by his perfect centrality of aim. He has a single situation to depict, and he is not distracted from it for a moment by any side issues. We do not want to know anything more about his three pressmen who see the dying sea-serpent than what he chooses to tell us. The central incident is the sea-serpent, and the central interest is the effect on each man's mind of what he sees. Had he told us how the three men came together, how one had gone in quest of gold to South Africa, and another had fought in a native war, and the third had explored the mountains of the Moon, however vividly he might have written, he would nevertheless have spoiled his story. No amount of fine writing could have atoned for confusion of interest. The finest writing in a short story is that which takes us quickest to the very heart of the matter in hand. The most characteristic note of the short story is then immediacy. It is of its very essence that it should be dramatic from the start. If it fails to arrest attention with its first paragraph it is likely to fail altogether. It affords no opportunity for that slow building-up of character and situation which is common in the practice of the novelist's art. This method which is perfectly legitimate and even compulsory to the novelist is wholly impossible to the short-story writer. The short story stands related to the novel very much as the vivid impressionist sketch does to the painstaking picture. The picture is built up by months of toil; its final harmony is the result of thousands of little strokes, of much stippling and repainting. But the sketch is achieved with a full brush in a confident hand and conveys its impression instantly. Oscar Wilde once said of Kipling's stories that they were "life seen by flashes of vulgarity." One may ignore the charge of vulgarity, but there is no doubt about the flash. It was by virtue of this incomparable directness, this rapid confident brush-work, that Kipling at once arrested the attention of the public. "His name was Charlie Mears"—so Kipling begins what he calls "The Finest Story in the World" without preface, without preliminary. No wonder the literary scribes and pharisees were offended in him. According to their traditions, all stories should begin by a leisurely approach, and there was something almost brutal in this abruptness. The ancient school of landscape art in the same way had a tradition that there was a certain place in a landscape where a brown tree must appear, and the tradition was held sacred until suddenly Turner startled the world with masses of living color in which no brown tree appeared. From that hour landscape art was revolutionized. And a similar revolution of literary ideals has followed the triumph of the short-story writer. He has taught the novelists themselves the value of immediacy, and, while the novelist of the older school still clings to the law of slow approach, almost all the newer writers have learned how to cut away preliminaries and to get at the heart of their story with a celerity which would have scandalized the writers of an earlier generation. It must not be assumed, however, that because the short story occupies but a small canvas it is therefore inferior to the novel, for this would constitute bulk as the standard of value. The entire witness of art, in all its branches, is hostile to such a conclusion. A fine intaglio may be as great a work of art as a Grecian statue; a square foot of Gerald Dow's painting is much more valuable than one of Haydon's interminable yards of canvas; and a lyric of a dozen lines of Burns is much more precious than a hundred epical pages of "The Earthly Paradise." The fact is that it is much more difficult to write a perfect short story than a successful novel. It demands superior gifts of concentration, of ingenuity, of fantasy, of originality, of dramatic intensity, of exquisite craftsmanship. The novel can afford to have its lapses, its relatively dull moments, its pages of reflection; it even gains by them, for they afford a necessary contrast to its dramatic climax. But the short story can afford to have nothing of the kind. The eagerness of its movement must be continuous and sustained. And this is, perhaps, why the regular novelist so rarely succeeds in the short story. His entire training is against him. He is usually too deliberate, too discursive; his touch is not light enough, his method is not sufficiently rapid. He frequently betrays his ignorance of his medium at every turn. He writes condescendingly or reluctantly; he makes us feel that he grudges throwing away a good motif; or he adopts some purely mechanical device, such as combining a series of episodes, which are neither in themselves short stories nor in their combination a true novel. The latter method was adopted by Barrie in his "Window in Thrums" and by Ian Maclaren in his "Bonnie Briar Bush." The result is not unpleasant; but the various episodes do not stand by themselves and therefore are not short stories. For no writer will ever succeed in the art of the short story who does not thoroughly understand that it is a form of art wholly separate from any other; and that it is also a form of art which is at once so difficult and delicate that it worthily challenges the highest qualities of genius. As regards the throwing away of a good motif, it is undoubtedly true that a man cannot enter on the career of the short-story writer who is parsimonious in motifs. But the extravagance is more apparent than real, for the reason that the motif which makes a great short story can rarely be utilized in any other way. It is possible to expand a short story into a novel; Mr. A. E. W. Mason has done it successfully in "The Four Feathers." It is possible to transform it into a play; Mr. Jerome has done it in the "Passing of the Third Floor Back." But such instances must be ranked with the exceptions. As a rule, the essential factor in a great short story is that it can be expressed in no other way with anything like the same success. Who would attempt to create a novel out of Kipling's sea-serpent story, out of the "Incarnation of Khrisna Mulvaney," out of "The Finest Story in the World"? We recognize at once how impossible such a feat would be. And therein lies both the claim and the justification of the short story. Life consists both of prolonged sequences and of flashing episodes. The first afford the material of the novelist, the second of the short-story writer. And life is so rich in episode to the observant and adventurous that he is much more likely to suffer from embarrassment of material than from poverty. It may be true that all the plots of the novelist have been used before, but that is only because the novelist persists in the use of a certain type of plot. But the episodical wealth of life is inexhaustible. A year's study of a daily newspaper may furnish the short-story writer with more material than he is likely to utilize in a lifetime. A face seen in a crowd, gossip overheard in a tavern, a conversation at a street door, the revelations of hostile eyes in meeting or in parting, the sudden passing of insignificant men and women across the beam of his questing searchlight—these are enough to excite his imagination, to start the wheels of fantasy; and if he will but continue to see vividly the dramatic possibilities of life, and to report truthfully what he sees, he need never lack material for the warp and woof of the stories he can spin. So long as the three-volume novel reigned supreme and magazines held to the tradition of the long serial, there was neither opportunity nor motive for the British writer to practise the art of short-story writing. But the conditions which repressed the short story in England acted powerfully for its benefit in America. If we investigate the position of the American writer of fiction of the last century some extremely interesting facts are noticeable. The chief of these facts is that almost all the novels read by the American public were of British origin. There was no international copyright law, and the most that a British novelist could do to secure any reward from America was to sell advance sheets of his book to an American publisher. Obviously this was a very exiguous device to protect his interests. It broke down the moment his book was pirated, which it invariably was within a few weeks of its publication in London. Not only was it pirated, but sold broadcast at extremely low prices. It is patent that the American novelist had no chance at all in this competition. Who would buy the work of a native author of local fame when he could purchase for a trifle the latest novel of Dickens or Thackeray? The result was that there was a very poor market for native fiction. The pirate publisher of those days did a great deal more than injure the British author by robbing him of his just reward; he injured yet more fatally the American author by robbing him of all chance of successful authorship. Driven from the field of legitimate fiction by unjust competition, there was but one road to success left open to him—the magazine and the short story. Here, at least, he was free from rivalry, for here was a demand which could not be supplied from British sources. Therefore, it was to the short story that the rising school of American writers of fiction devoted their attention. Among these writers Washington Irving and Hawthorne and Poe stand supreme. Irving excelled in the brief sketch rather than the short story proper. It is only at a certain heat of the creative faculty that he attains pure narrative. Grave, wise, genial, he is apt to write with leisurely ease, in a mood of reflection rather than with directness and intensity. Hawthorne displays the same tendency, though in a much less degree. He is apt to delay his dramatic moment by philosophical observation, to be tediously analytical when the theme demands intensity, to stifle the fire of his imagination under a dull weight of pedantry. It may even be said that Hawthorne's true and fine genius often appears to work in some obstructive medium; at least that is the impression which he frequently produces on the reader. It may have been distrust of his own powers, a kind of intellectual shyness, a native difficulty in speaking out. It may have arisen in large degree from his own inborn habits of introspection and metaphysical analysis. It may have consisted of a constantly changing combination of all these forces. But whatever it was, it was there, a resisting medium which gives the sense of effort to his work. In all his best work he conquers this obstruction. And in the short story he is at his best. His outstanding claim is that he applies a profound psychology to the art of fiction. He deals not with the surfaces of life, but with the depths. He delights in the exploration of what Arthur Hallarn called "the abysmal depths of personality." He has a keen eye for the dramatic moment. His themes are uniformly significant and often of extraordinary fascination. In all that concerns the technique of the short story he is a great master. This technical excellence has been again and again recognized, and by later critics so completely that they have unhesitatingly chosen some of Hawthorne's stories as the perfect models of what a short story ought to be. But the true creator of the modern short story in American literature is neither Irving nor Hawthorne; that honor belongs to Poe. Poe brought to his task precisely those gifts most essential to achievement; a powerful reason of unusual subtlety, an imagination of extraordinary vividness, a faculty of observation only less extraordinary, and, above all, a mind wholly free, wholly unfettered by tradition and almost insolently scornful of accepted canons. His self-confidence is superb; in a man less singularly gifted it would have been ridiculous. His originality is unquestioned; and the witness to this originality is found in the fact that he was the first man to recognize completely the artistic possibilities of the short story. He found in it a sufficient vehicle for the expression of his genius. He brought to it the highest and rarest genius not only of his age, but of his nation. Both in poetry and in short-story writing Poe stands first in the literature of America. Poe excelled equally in three kinds of story: the story of ingenuity, the story of adventure and the story of horror. To take the first, what stories have surpassed in ingenuity the "Murders in the Rue Morgue" and the "Purloined Letter"? Here we have in its perfection the method of deduction which Conan Doyle has so successfully copied in his Sherlock Holmes. The same ingenuity, differently applied, distinguishes the great story of "The Gold-Bug." Many writers have since used cryptograms and concealed in them the secrets of hidden treasure, but there is not one who has ever surpassed Poe in this kind of story. The "Descent into the Maelstrom" and the "Adventure of Hans Pfaall" are equally unique examples of the story of adventure. The latter found an imitator in Jules Verne, but the Frenchman's "Voyage to the Moon " is a dreary pedestrian performance compared with the imaginative daring of Poe's narrative. In the story of horror no one has ever pretended to rival him; and it may be questioned if Stevenson would ever have written "Markheim" had not Poe first written the "Tell-Tale Heart." The mere fact that we can thus trace the influence of Poe among the most recent and the greatest of modem story-writers is conclusive evidence of his profound originality. His was a truly seminal mind fecund with ideas. Without models, without a single counselling voice and without any real recognition or encouragement, he discovered the value of the short story, endowed it with form and method, devoted his rare gifts to its perfection and did each of these things so completely that his own stories have become classic, the value of his method has never been disputed and the form which he gave the short story has become the model of succeeding writers. Perhaps, however, the chief contribution of Poe to the art of the short story lies not so much in form or method as in fantasy. Thus in the "Murders in the Rue Morgue " he fails in immediacy. Again, in "The Gold-Bug" the interest is wrought to the highest pitch when the treasure is found, and the explanation of the cryptogram, infinitely ingenious as it is, coming after the finding of the treasure, has the effect of an anti-climax. Kipling, telling the same story, would probably have commenced with the discovery of the cryptogram and have found a true climax in the finding of the treasure. But this is, after all, to say no more than that the technique of the short story has advanced with the practice of the art. The unique claim of Poe is that he endowed the short story with fantasy. He gave it wings, opened the heavens of imagination to it, made it almost a form of poetry and put it on the highest level of literary art. One fault he had which cannot be excused; he took a morbid delight in the horrible. This is a constant temptation to the short-story writer. It arises from the need to produce an instant and deep impression; and such an impression is most readily produced by an illicit appeal to fear. Stevenson makes this appeal in "Thrawn Janet"; Kipling in many of his stories, notably "The Return of Imray"; Fanu almost always. In going over the vast literature of short stories, it has been a surprise to the writer to discover how many of them are stories of pure terror. That such stories may have qualities of art is undeniable; yet simply because the appeal to terror is so easily made, it is a kind of appeal which should be very sparingly used. The use which Poe makes of it is constant and therefore illicit. This is his chief fault. Yet against it must be reckoned his extraordinary power of fantasy, and this gift raises his worst theme into the realm of the creative imagination. Poe was essentially a poet, a poet whose genius moved habitually on the darker side of life and was deeply tainted by the morbid and the abnormal. It is because he was so essentially a poet that even an illicit theme is redeemed by the wonderful splendor of the imagination with which he bathes it. For, after all, technique is not everything, a truth upon which some insistence needs to be laid today because its value is often overestimated. Thus, for example, in what must certainly be reckoned as one of the greatest of all Kipling's stories, "The Man Who would be King," there is a wilful disregard of the law of immediacy which he uses in many shorter stories with such superb effect. "The Son of God goes forth to war A golden crown to gain. His blood-red banner streams afar Who follows in His train." The laws of technique are violated, but surely it would be the merest pedantry to insist that therefore this is not a true short story. The sympathetic reader, thrilled with its pathos and its daring, astonished by its imaginative power, conscious of its Homeric bigness, will at once reply that it is at all events a great story, that it is indeed among the greatest of all stories in the English tongue, and he would be right. No, technique is not everything. It is no more than the servant of the shaping creative force and must not be allowed to be its master. If it be not elastic enough to serve the end of the creative force, that force will certainly discard and transcend it. By all means let the writer study technique; it is as useful to him as the life class and the art school are to the artist. But let him also recollect that technique alone never yet made a great artist. It is at best but the weapon of success; for while a writer may succeed with an imperfect knowledge of technique, it is certain that he cannot succeed without the creative imagination. To forget this is to magnify the lesser things of the law and to forget the eternal verities. And this is but to say in plainer language that in all forms of literary art, it is personality that counts for most. Great writing is always the expression of great personality. It is well to be acquainted with the unities of composition, but if that is all we know nothing awaits us but barrenness and failure. When a Shakespeare arises, he pours such floods of flame into the old dramatic forms that they are utterly dissolved, and none regret them but the pedants, with whom form counts for more than spirit. Has he any vital message to communicate? Has he any sincere experience to impart? Has he seen life for himself, from his own angle of vision, and seen it truthfully and completely? Has he the creative force that makes us see what he sees, feel what he has felt, comprehend what he has comprehended? These are the inexorable questions, and the greatest writers of short stories have been those who could answer them most thoroughly. Such interrogations are not to be evaded on the plea of technique; personality transcends technique. The short story, more than any other form of literature, must have individuality; and to have it, it must be impregnated with the personality of the writer. It is from this source that it derives its color, its charm, its power to arrest and please. Poe and Kipling, Stevenson and Hawthorne, write nothing that is not impregnated with personality, and this is the deepest secret of their fame. The most miraculous color in the picture is always that which is derived from the life-blood of the artist.